Jabra Stealth - a Bluetooth Headset you'll want to wear! The Jabra Stealth Bluetooth headset is as close to perfect as a Bluetooth headset gets. It is the first premier-class headset to incorporate the innovative microPOWER technology that allows for considerably smaller design, better comfort experience, and longer talk-time. 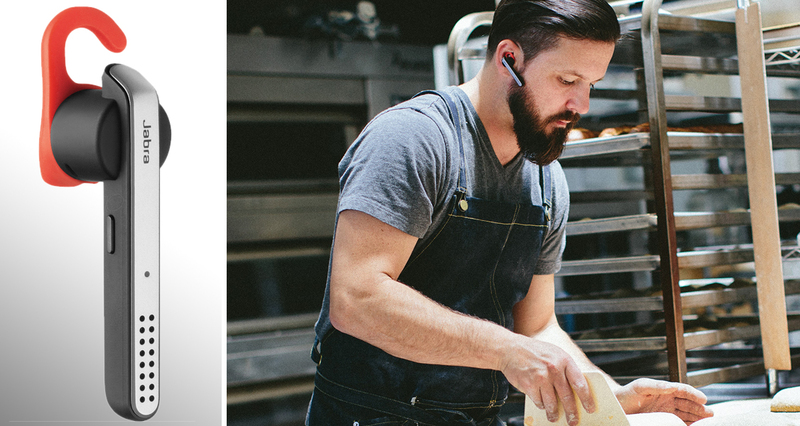 The Jabra Stealth combines the latest advanced sound enhancement technology and HD voice for clear, crisp sound at both ends of the conversation. The headset’s microphone technology zeroes in on voices while ignoring background noise. For instance, when talking in the wind, the noise reduction eliminates all other sounds so your voice is crystal clear; but when you’re not talking, the person on the other end can hear the wind coming through. This means that you can drive on a busy road with music playing in the car and conversations going on among passengers, and still hold clear conversations with your Jabra Stealth without it getting confused. You can remotely activate and engage these two platforms with your smartphone still in your pocket by simply tapping the dedicated button on the headset. The Jabra Stealth also comes with NFC for easy pairing with smartphones and other devices, as well as Multi-use for double pairing with independent devices. You can also stream podcasts and music, and access GPS direction wirelessly from your mobile. You can enjoy strong signal strength when calling from 20 feet away, even with a wall or other barrier in the way. When there are no obstructions, the Jabra Stealth offers a range of 35 feet, within which you can enjoy conversations with no echo, static, or skips. The device also offers instantaneous interference when you turn the earpiece on, or step back into range, which is a useful aspect for those who do not wear their headset actively. The Stealth headset comes with a set of earhooks and eargels that allow you to achieve the perfect fit, plus its small, lightweight design and balanced weight makes it so discreet that you barely feel it on your ear. Some people prefer funky-looking designs, but I don’t suppose anyone would mind having a lightweight, slim, and elegant headset, especially when it does not sacrifice on comfort or performance. That's why I'd choose the Jabra Stealth every time. This entry was posted in General on 30/01/2015 by Max.